Often people speak too loud in office environments, where people need to concentrate on work. It needs some overcoming for the individual to ask the offender to be more silent. It would be great if the offender is detected automatically and notified. People can install an iOS app and send periodically data to our service. 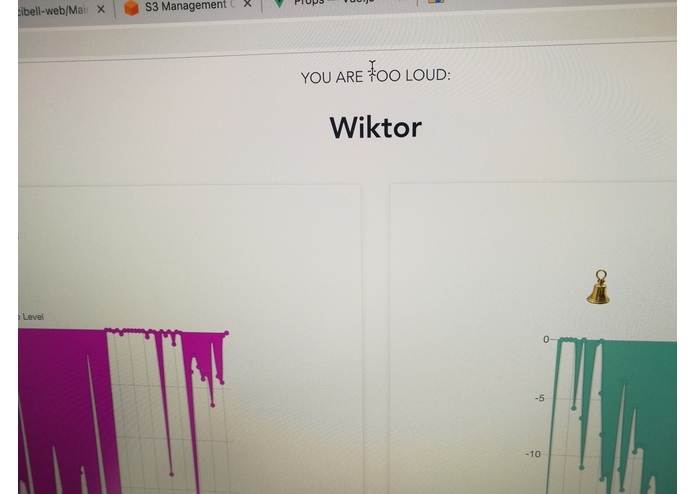 Our service analyzes if someone is too loud and at the moment we can show on a monitoring frontend who is too loud. It also shows a graph of the past volume in a room. 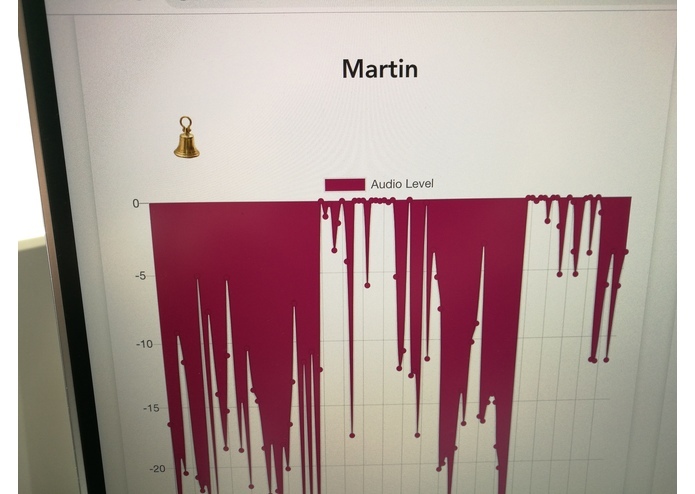 We have an iOS app with Swift that periodically sends audio data to a container in heroku with python and flask. First in the background we analyze if a sample is too loud. For the speaker identification we needed to submit training data, which we saved in dynamo. In the beginning we had no idea how the speaker identification works, so we first had to do a lot of research for available services.